In 2016, physician-assisted suicide was legalized in Colorado when voters approved Proposition 106, “Access to Medical Aid in Dying.” Colorado statues have been changed to include the Colorado End-of-Life Options Act, which allows Colorado doctors to write a suicide prescription for a consenting person who has been diagnosed with a terminal illness with six months or less to live. As disciples of Our Lord, we know that life is a gift from God. We are stewards, not owners, of the life God has entrusted to us. Additionally, suicide contradicts our natural inclination to preserve and perpetuate our life, and it also contradicts the way Jesus Christ accepted death. Suicide is gravely contrary to charity and to the three loves that constitute our existence: the love for God, the just and proper love of self, and the love for one’s neighbor (breaking the ties of solidarity with one’s family and nation). As we encounter loved ones in our families, parishes and communities who are considering Physician-Assisted Suicide, here are some guidelines developed by the bishops of Colorado on how to address this critical end-of-life issue in the context of our Catholic faith. Q: How should I approach someone who is encouraging a relative to use PAS? A: Seek to first understand why this person is encouraging PAS. Most often, people encouraging PAS are guided by a sense of false compassion and do not understand that it is spiritually damaging, undermines society’s perception of the value of life, and involves sectors of society in taking life (doctors, nurses, pharmacists, coroners, etc.). After striving to understand the person and explain the Catholic beliefs about life, suffering and eternity, try to encourage him to confess his sin and remedy the damage he has done. Q: Can a person who has requested PAS receive Anointing of the Sick? A: No. The Anointing of the Sick is aimed at strengthening the sick person in their trust of God, but PAS contradicts this radical surrender and entrusting of the sick person to God. Until a person has satisfactorily confessed the sin of intending to commit PAS, they cannot receive the Anointing of the Sick. Q: Can someone who has taken the PAS drugs receive the sacraments? A: On average, a person who takes the fatal overdose used in PAS falls into a medical coma within 5 minutes. In the unlikely scenario that a priest arrives at the bedside of a person in this window and she is repentant, then the priest can hear her Confession and administer the Last Rites. Q: If someone discloses that they intend to use PAS in Confession what can be done? A: If a penitent is not contrite and insists on killing himself, then the priest must delay granting him absolution until a later time. Meanwhile, the priest should accompany the person planning to use PAS, striving to convince him of God’s mercy, offering him practical help, and engaging in fasting, prayer and offering sacrifices for them. Q: Can people who have died by PAS have a Funeral Mass? 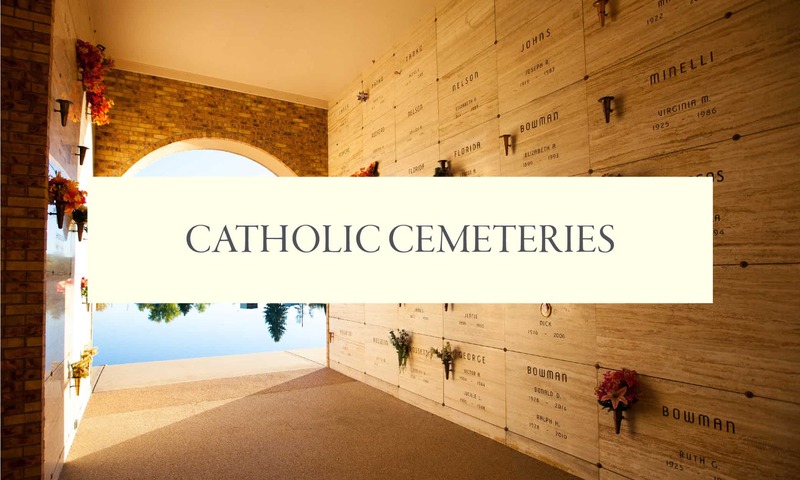 A: Due to the significant risk of a Funeral Mass leading people to think the Church accepts PAS, the bishops of Colorado have decided to only allow Christian Burial for those who have committed PAS. Funeral Masses, Liturgies of the Word and paraliturgies are not permitted. Some days after the burial, loved ones are encouraged to have Masses said for the repose of the soul of the deceased. The organizations listed below offer counseling for those struggling with the issues raised by terminal illness, such as a loss of autonomy, a perceived decrease in the quality of life, coping with grief and loss, and the impact of illness on family members. Sacred Heart Clinical Services is a ministry of Catholic Charities of the Archdiocese of Denver and has multiple locations. St. Raphael Counseling is a Catholic apostolate with offices in Denver, Littleton and Louisville. The medical facilities and services listed below are provided in accordance with Catholic teaching. Porter Hospice & St. Anthony Hospice serve the Denver Metro area. Collier Hospice Center, Good Samaritan Medical Center and St. Joseph’s Hospital all provide hospice and palliative care.